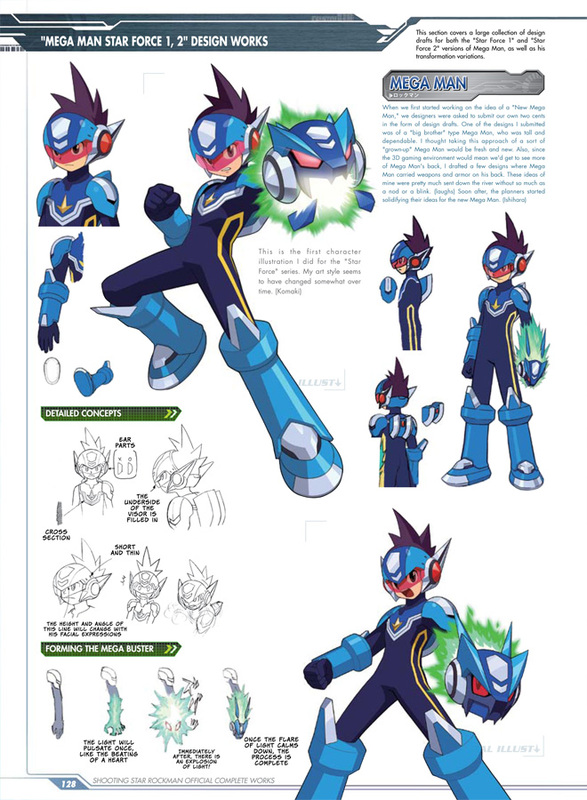 For your viewing pleasure, here's a nice helping of preview pics of both Mega Man Battle Network and Mega Man Star Force Official Complete works, courtesy of the Udon Entertainment crew. I've also recieved word that the former, BN OCW, will finally release next week, March 16! Star Force OCW will follow soon after in May. All the pics and official press release after the jump. Toronto, ON – March 10, 2011 – UDON’s Mega Man™ art books have been a big hit with blue bomber fans, so far covering the original Mega Man®, Mega Man® X, and Mega Man® Zero iterations of the Capcom® video game franchises. 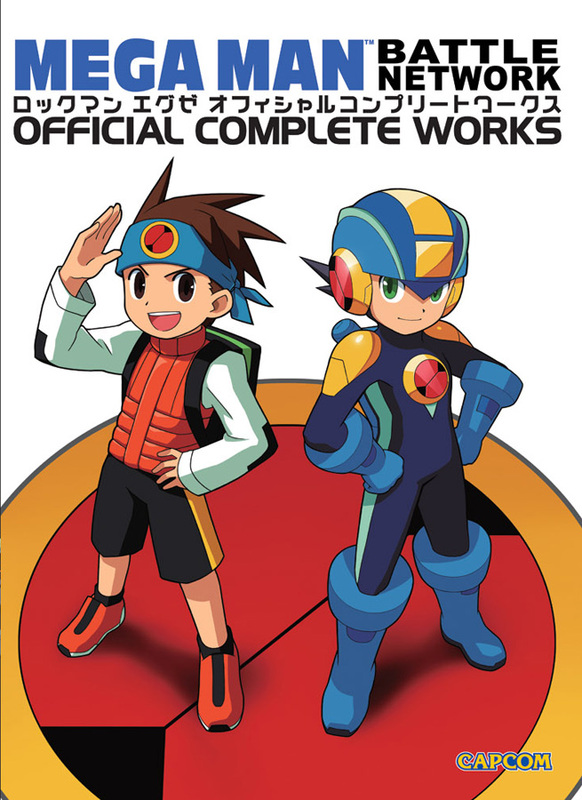 Now, two more Mega Man series get the art book treatment in Mega Man Battle Network™: Official Complete Works, and Mega Man Star Force™: Official Complete Works. The Mega Man Battle Network® video game series reinvented the classic Capcom franchise as an exciting action-RPG, and reintroduced Mega Man to a whole new generation of gamers. Later, the sequel series Mega Man Star Force® would carry on the action-RPG tradition with all-new adventures set in a distant future. 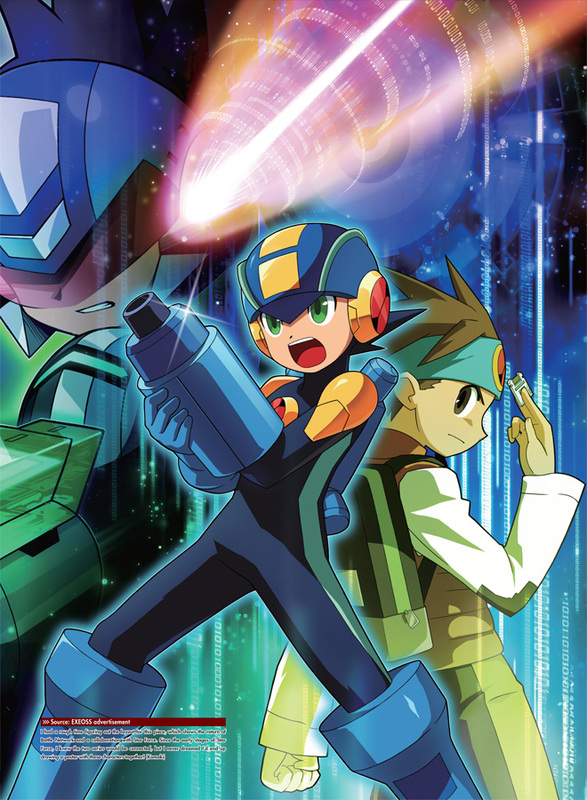 Mega Man Battle Network: OCW collects the stunning artwork of all 6 Battle Network games, plus several spinoff titles. 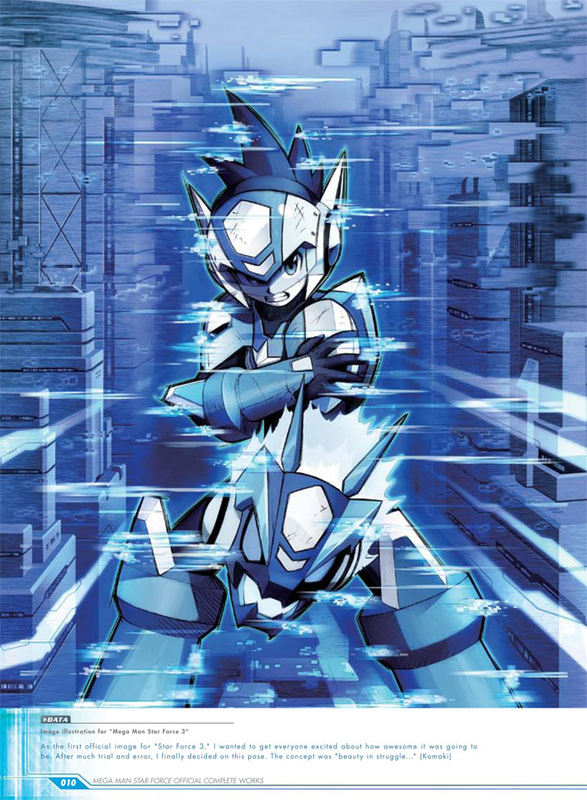 Similarly Mega Man Star Force: OCW covers all games in the Star Force series. Each book contains 176 pages of character designs, promotional art, sketches, rarely seen pieces, and plenty of creator commentary. Mega Man Battle Network: Official Complete Works hits stores March 16, 2001, followed up by Mega Man Star Force: Official Complete Works in May 2011. What is the Japanese equivalent of MMBN OCW? I know Japan has multiple source books for Rockman EXE, so is OCW a translation of one of the books are a combination of some/all of them? Finally. I've had BN OCW preordered for ages. SNAP!!! I need a time machine to get these books!!! Anyone up for sharing? I can't wait for that Star Force book! I always LOVED the designs for that series, and that series' Mega Man was always the coolest looking to me. I can't wait to get my hands on it! The Japanese equivalent is the Rockman.EXE OCW. It's its own unique book. 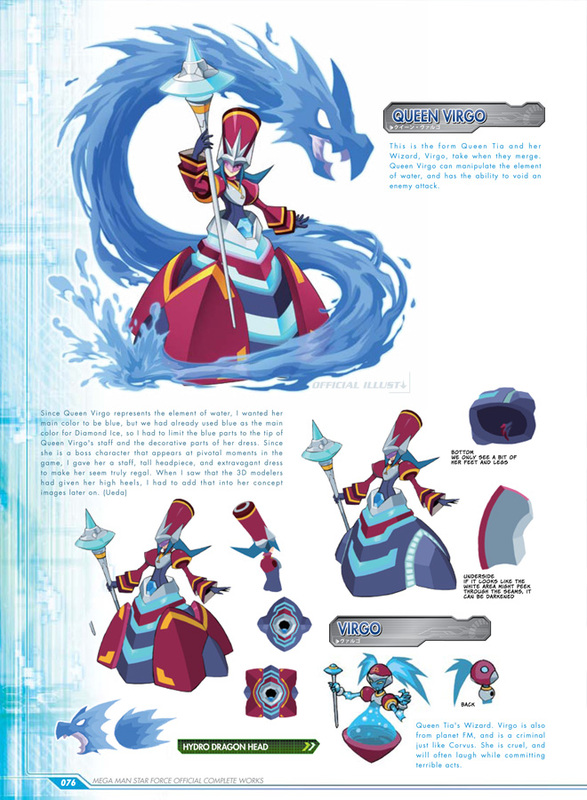 The first book, the Character picture book, just contained the official art for all Navis, viruses, Rock's forms, and bosses in the 6 sequential games. Net Ops just had cropped busts by their Navis, with a short quote. 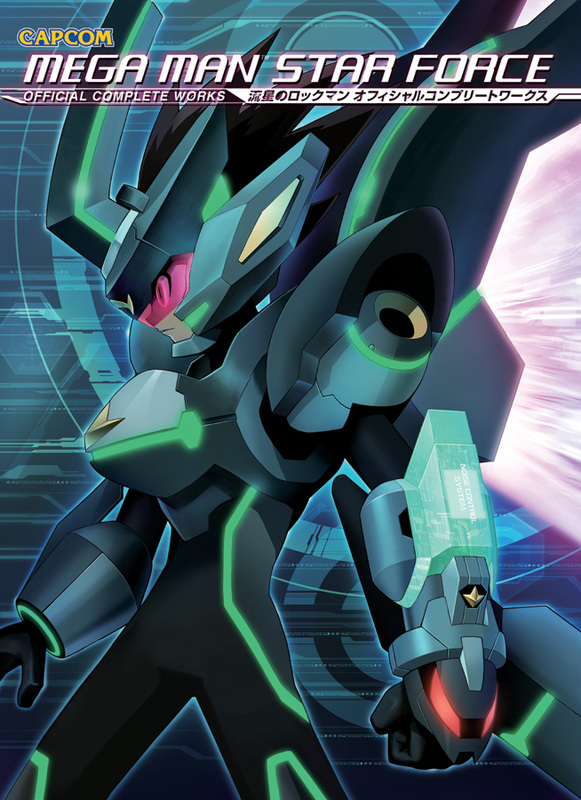 The second was EXE no Subete, which was more like the info book, with official art mixed in. No virus art, and most Net Ops were still cropped. But it gave one page of images/info for 4.5, PoN, Battle Chip GP and Transmission. 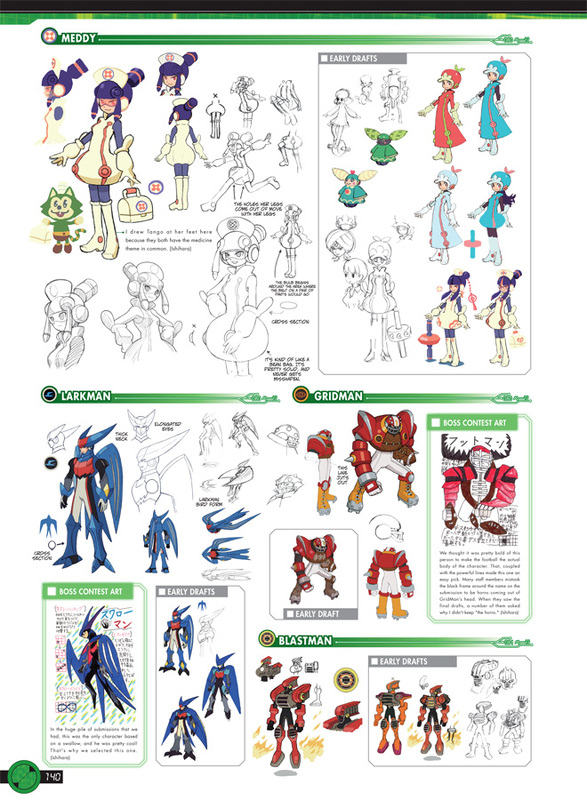 The third was EXE no Himitsu, which was mostly all full body concept art and sketches for all Navis, Net Ops, and viruses, including 4.5, PoN, GP, and Transmission. 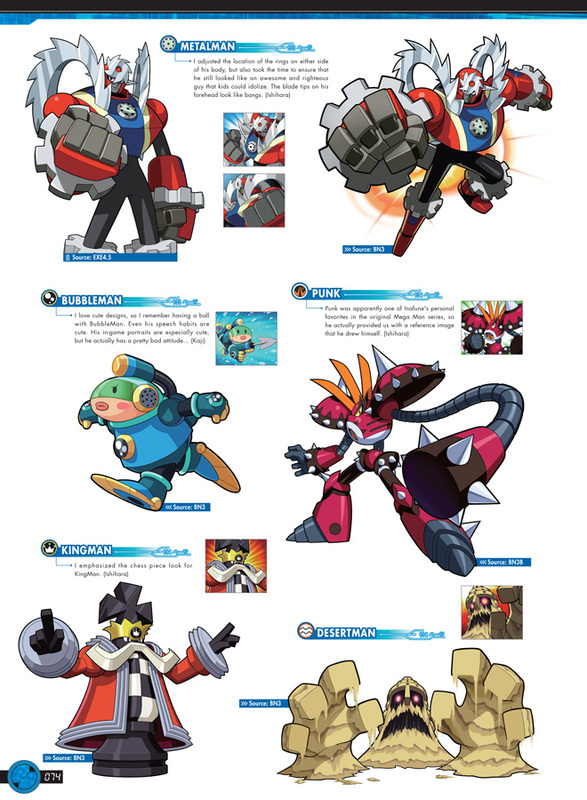 Full official art for all Navis and Net Ops are in at the end, but they're all very tiny, as like 30 fit on one page. Battle chip art is finally included, but again, so small that 120 are per page. The OCW mixes them all together and adds more content. It has FULL official art, concepts, and promo pieces in the largest print format of the 4 books. Chip art is still microscopic, but at least it's in. It also includes the first Legend of Network and OSS character art, along with some tribute art from series contributors like Ryo Takamisaki. Thanks for the info, Rock Miyabi! I was going to try to get Himitsu too, but now I won't have to. Really can't wait for the SF OCW. I've been holding off on getting the Japanese version because I've kept saying to myself that this one will come out eventually. You could care less about it? Great! You must not hate Star Force very much after all then. God, I love making fun of people who don't know how to use that phrase properly. It's so... so easy. Can't wait, can't, can't wait. Reading what I can it has a lot of the insight that I really like to see. I don't hate Star Force, I'm indifferent towards it. So I could care less about it.